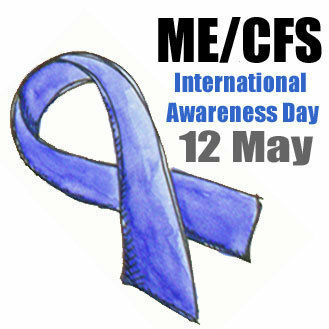 This week is M.E awareness week, I can’t think of a more misunderstood condition than this one, please go to the lovely Tanya’s blog to find out more about what it’s like to actually live with M.E and hear some stories that might make you angry at how woefully it is viewed and treated in this country. It’s been helping me reflect on the strange land of illness and how I want to live better within it. I am familiar to a small degree with the land of long term illness. I was in that place in my teenage years when I had Glandular Fever on and off for about 5 years. I experienced the world of doctors looking puzzled and expressing strange treatments like going to see a careers advisor to help with it and my depression which kicked in at the same time. Interesting. Those years have left me a legacy of being rubbish when I’m ill. I tend to think I’m either making it all up, shouldn’t be so pathetic and get on with things, feel like everything around me is crumbling around and feel far from God. The depression that lurked around that time comes back like a bad memory and I’m unsure if I’m just remembering it or actually surrounded in a fog of gloom again. It feels wrong to be cheery when I’m ill, wrong to laugh and when I can no longer do the things that make me feel connected to God I generally conclude he is far away. Pregnancy has left me exhausted and nauseous for most of the first 3 months. I’m fairly convinced that it’s not an illness (there is an excellent reason for the grimness and my body is adjusting to something that is natural and what it is designed to do) but it feels like old illness come back to haunt me and so it’s been tempting to head back down the old well trodden path of my teenage reactions to feeling like this. My usual self medicated cures for the melancholy of my soul don’t work at the moment, I’ve not done this little exercise for years and I miss the endorphins. Food is tricky and tiredness means I have little energy to engage in deep profound conversations on the state of the world and just want to sleep or watch trash tv. I’m reassured by web forums that this is normal for pregnant women, that I don’t have to pull myself together and get on with life and that rest is good for me and the small creature growing inside me. However, the stinky cold I have this week (without the usual dousing in lempsip, cough mixture and flu tablets that are all out for pregnant people) has sent me back into the old spiral. Yesterday though I sat on my sofa and pondered. Surely my relationship with God can’t be based on whether I am able to form a cohesive sentence to him or not? Surely the reality of God can’t be based on whether I’ve written in my notebook and read some of the Bible today? Surely his love and grace are not dependent on whether I think I’ve done enough for him today? The crazy reality that I wish was my default belief setting is that breathing really is enough. When we have no coherent thoughts, when we can’t sit up straight because we’re so tired, when we can barely move God’s love remains constant. When we wake up in the morning we wake up in the Fathers arms and nothing can take us out of them. When we wake up in the morning we wake up into a world that is loved, we wake up to a world where we are loved and we live in the strength of that. We don’t have to work our way into God’s love each day, not having to do things to convince ourselves that we are still here. How do I know? One man, Jesus. He’s bought the right for me to be in God’s family. He’s adopted me into the family, I am his beautiful daughter and I am part of a new world. That’s the beauty of grace, there is nothing we bring to the table. Illness reminds me of that, and reminds me of the wonderful truth that God loves first and out of his initiative, not as a result of mine. I believe that with all my heart for everyone else on this journey of life with God, it’s taking a little while longer to get through my thick skull and dare to believe it’s true for me as well. This entry was posted in Life on the journey and tagged illness, Jesus, pregnant. Bookmark the permalink. This is helpful, thanks. I have been struggling with fatigue/depression for a few months now and whilst the dr. is treating my thyroid as first cause and seeing “if it helps” the anxiety lingers that it won’t. And worse, the suggestion is I’ve done this to myself by working too many hours, exercising too much, generally doing too much and not resting. And so the guilt descends as I cut things out of my life that I can’t do anymore, make my excuses, disengage a little with church family etc, knowing it all might well be my fault. Bad Christian, bad person. Helpful to be reminded nothing changes as far as God is concerned no matter how long I feel like this. Thanks. And congrats again on the little creature. I LOVE the phrase ‘breathing really is enough’. I think actually since having a baby I’ve been able to lay hold of that truth more for myself. When I look at my boy, I delight in him – no matter what he does. I love to look at him. If this overpowering love is the even the dullest reflection of how God is with us then…well, all I can say is it’s amazing. Delight is the word.